The HOME BKK is a pilot project aiming to inspire the senses through Art, design, food, music, movement and stillness. 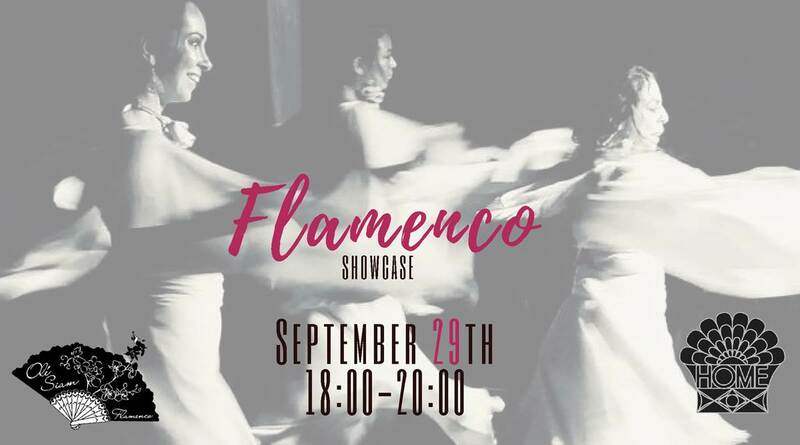 In Movement, added Rhythm and Sounds, the Flamenco platform of Olé Siam finds a home to nurture talent, grow understanding and fuel curiosity for the art. Olé Siam Flamenco is a community in Thailand to share and spread a better understanding of this one and only form that communicates through song, dance and guitar to reveal the 'duende'... the true being that hides in all of us, one's soul. As a bridge merging cultures, Olé Siam Flamenco continues to grow in numbers of students and aficionados. We take this opportunity to share our talent that has been cultivating in our walls... from our Tiny Dancers to our Adults who will interpret some of the many 'palos' or styles in Flamenco. We will enjoy live accompaniment by guitarists Vincent Chavez, Maurizio Ghisleni and percussionist Pong Nakornchai.